Absolute Insurance Agency is one of the leading providers of quality auto insurance policies and umbrella insurance coverage for residents in Des Moines IA, West Des Moines IA, Clive IA, Urbandale IA, and the surrounding areas. Everyone needs to have vehicle insurance… It’s the law! 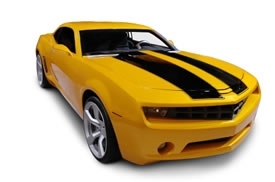 Auto insurance is incredibly beneficial anyway, since it will transfer the risk of liability from you to another source. A quality car insurance policy from Absolute Insurance Agency will help ensure that you and your assets remain protected in the event you are involved in an accident. We have a range of collision policies available that include ample amounts of bodily injury liability coverage to keep you well protected. Bodily Injury Liability. This is legal liability for causing death or physical injuries to another party. Collision Insurance. This type of insurance covers any losses to the insured’s automobile when they collide with another object or vehicle. Medical Payments. These payments cover medical costs and funeral costs that are incurred as a result of an auto accident, regardless of who is at fault. It also covers passengers who have been injured and injuries if you are driving another person’s vehicle. In the State of Iowa, these payments will also cover injuries that are incurred when you or your family members are pedestrians. Are you a current Absolute Insurance customer? You can log-in to our Client Center to print ID cards and other documents, submit policy change requests, view policy information and more! We do need to have your email already in our customer system in order to access the Client Center. If you would like to add your email to the Client Center, or if any issues accessing the Client Center, please email service@insaia.com. Your browser is unable to display frames. Please click here to visit our secure customer service portal. Contact us today at 515-279-2722 to learn more.